Elisha has been called, commissioned and anointed to be Elijah's successor. Elijah and Elisha will walk together in the Lord as one. Elisha will be taught, trained and equipped by his master Elijah. Elijah and Elisha were from different generations and had different personalities yet they loved and respected one another. Elisha, the younger, was wise enough to know that he could learn much from the elder Elijah who was a seasoned man of God. There should be no competition among followers of God and Christ. We are all fellow workers for the Lord. 1 Corinthians 3:22: So then all things are yours, whether Paul or Apollos or Cephas or the world or life or death or the present or the future—all are yours, and you are of Christ, and Christ is of God. Elisha will reap from Elijah's wisdom and labors. John 4:37-38: (Jesus speaking to His disciples) “One sows and another reaps is true. I sent you to reap what you have not worked for. Others have done the hard work, and you have reaped the benefits of their labor.” When God sends a person full of His wisdom to you, honor and respect the amount of labor that person went through to gain God's wisdom and “eat” from them. In other words, benefit from their labor! By wrapping his anointed mantle around Elisha, Elijah was transferring the prophetic anointing that was on him to Elisha. The power of God was in Elijah's mantle/gifting. He would also wrap his arms around Elisha and love and teach him the ways of God. The Spirit that rested upon Elijah will now also rest upon Elisha. This Holy Spirit will help in Elijah's teaching and training of Elisha and of Elisha's understanding and ability to carry out God's will for his life. Elisha will eventually take over where Elijah left off and that same Holy Spirit will lead, guide and empower Elisha to do even greater works than Elijah! God performed seven miracles through Elijah, but He will perform fourteen miracles through Elisha – a double-portion. A Christian's double-portion comes through Jesus and the Holy Spirit. The power of the blood of Jesus and the Holy Spirit will do even greater works through believers because they will inhabit the whole earth. Jesus only walked the territory of Israel and its surrounding areas. Elisha had to see Elijah's resurrection and then the mantle of Elijah's anointing would fall upon Elisha. We must know and see the risen Savior. Those who believe in the resurrection of Jesus will have His anointing fall upon us. His anointing will reach the four corners of the earth through His followers. Between Elisha's call and Elijah's resurrection without death, war broke out between the Syrians and the northern kingdom of Israel. Believers in Christ will also have to fight spiritual warfare from the time they are called until they are taken to their heavenly, spiritual home. Three times King Ben-Hadad and his mighty army came against King Ahab and his small army of 7,000. Ben-Hadad means “son of Hadad (the false god).” The sons of the false god will come against the sons of God! Just as God's ways don't change, neither does the devil's ways. The first time, the Syrian army had the victory because of their surprise attack. God's people were not expecting the attack. Jesus told His disciples to “Watch.” We are to watch for the devil, false truth, signs of the times, our words and temptations. We are to be watchful in prayer, in our daily living, for a time of testing and waiting for Christ's return. As the victor, Ben-Hadad demanded all of the silver and gold of king Ahab, as well as his best wives and children. Ahab complied since the victor usually got the spoils of any war. But, like the devil, Ben-Hadad wanted more. The wicked are never satisfied. The devil will not be content until he has all that belongs to the spiritual King Jesus. 1 Peter 5:8: "Be self-controlled and alert. Your enemy the devil prowls around like a roaring lion looking for someone to devour." We must test the spirits to make sure we are not operating out of our flesh. Our fleshly nature is controlled by the serpent, the devil. Jesus is the Victor so the devil is already defeated. We must resist our fleshly ways and walk in the ways and power of Jesus and the Holy Spirit if we are to be victorious. Ben-Hadad told Ahab that he was sending his officials to search Ahab's palace and the houses of his officials to seize everything Ahab valued and carry it away. This is exactly what the devil wants to do to humanity and with followers of Christ. Humanity is valuable to God. He created us in His very own image. The devil is relentless. He wants to steal, kill and destroy. This is why Jesus tells us to be on our guard. The devil will surprise attack those who are not watching for his cunningness, scheming and deception. The enemy had the victory this time, but God will see to it that he doesn't have the victory the next time! We can learn from our mistakes! In the meantime, a prophet came to Ahab and told him that God would give him the victory. Even though Ahab has been wicked and rebellious, this time he sought the counsel of the elders and believed the Word of victory through God's prophet and obeyed. God will give Ahab and his small remnant army the victory. Faith in God and obedience to God will also give those who follow Christ the victory. The devil cannot be defeated by the ways of our flesh. Ahab asks the prophet who would start the battle. The prophet said that Ahab will. 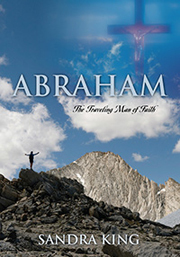 Ahab and his army will come boldly before this vast army with his remnant army of 7,000. The prophet of God also said that the younger men will win the war for him. Ahab had consulted the elders for their wisdom, but it would be the younger generation who are physically stronger who will win the battle. Ahab is not to be frightened but is to go boldly into battle against the enemy of God's people with the younger men leading. Ahab summoned 232 young commanders in obedience to the Word of God, and then all the rest of the 7,000 Israelites. (2+3+2 = 7 perfection and 7,000 represents a company made up of the righteous and faithful remnant). These will win the battle for God and His people. Each young man and his faithful remnant behind him struck down the enemy. (1 Kings 20:18) This put the Syrians to flight. However, Ben-Hadad and some of his horsemen escaped. The king of Israel and his young commanders with their army pursued those who fled and inflicted heavy losses on the Syrians but Ben-Hadad and his horsemen managed to escape and were still alive. Again, one of God's prophets came to Ahab and told him that Ben-Hadad and his army would attack again in the spring. The prophet told Ahab to strengthen his position and see what must be done to bring in the victory. God warns His own of impending danger. Ahab must look for any weakness in his army and strengthen it. Prepare! God is giving them ample warning. The Syrians are now plotting and scheming. Ben-Hadad is regrouping and raising up an army like the one they lost in the last battle. He also is changing his officials. Because the Syrians couldn't beat the Israelites on the hills, they decide to fight them on the plains. They knew that the God of Israel is the God of the high places so surely they could defeat the Israelites on the plains (low places). God isn't just the God of the hills; He is also the God of the plains! He is the God of the whole universe. He is as powerful in the valleys as He is on the mountains. Again, a prophet of God came to the king of Israel advising that he would win the battle. God would vindicate Himself as not only the God of the mountains, but also the God of the low places. Then the enemy will know that He is the Lord over all the earth. In spite of the unfaithfulness of Ahab and the Israelites, God showed them mercy and gave them the victory. Ben-Hadad could not beat the Israelites in warfare, so now he will use deception to save his own life. He had heard that the kings of Israel were merciful, so he and his officials would go to Ahab dressed in the humble garment of mourning – sackcloth. This clothing would make Ben-Hadad look humble and submitted. Ben-Hadad and his men would also put ropes around their heads indicating their surrender . Ben-Hadad will appeal to Ahab's pride. The fact that Ben-Hadad and his officials were willing to now be Ahab's servants made him happy! Instead of completely destroying the enemy and their king, Ahab compromised and let Ben-Hadad and his officials live. Ahab didn't stop there. He signed a peace treaty with the enemy of God and His people and set him free to do some more damage! (1 Kings 20:34) Ahab even called the enemy king his brother! Nowhere does it say that Ahab consulted God or the elders in making this decision. If the devil can't win like a lion that roars and destroys, he will come as the deceiver (serpent) who is cunning, sneaky and disguised. God must show the enemy who is God! 2 Corinthians 11:14 says that the devil will turn into an angel of light to deceive God's people. He will even twist the Word of God to get us out of God's will. It will sound like Truth because the devil who is a counterfeit will speak as close to the Truth as he can but he will twist it or leave something out of God's Truth in order to deceive. This is why knowing the Truth is important. True to the prophet's earlier word to Ahab that the Syrians would attack in the spring, Ben-Hadad went to fight the Israelites, and the Israelites went to meet them. God's army had no fear! God had assured them of the victory! Israel's small army and the vast army of Ben-Hadad faced off opposite each other for 7 days at Aphek which means “fortress.” Aphek is a city near Jezreel where the final battle at Armageddon will take place. On the 7th day, the battle began. In one day, the Israelites inflicted a hundred thousand casualties. (1 Kings 20:29) God would also help by having the wall of protection around Aphek collapse. This killed another 27,000. Ben-Hadad fled to the city and hid in an inner room. Previously he was boasting; now he is hiding. After Ahab allowed Ben-Hadad and his officials to live, God sent a prophet to Ahab who told him that he had pronounced his own death because he disobeyed God in not completely destroying the enemy. 1 Kings 20:42: This is what the Lord says, "You have set free a man I had determined should die. Therefore it is your life for his life, your people for his people." Even at this pronouncement Ahab didn't repent. The result was Ahab's line was cut off. His son Ahaziah who was his successor to the throne was also killed two years after he was made king over Israel. Because he had no sons, the throne was given to Joram. The Lord exercised His judgment on the house of Ahab and Jezebel. Their house was cut off. God had given Ahab many chances. There were times that Ahab did repent and God relented from sending His judgment. However, the pull of Ahab's wicked, idolatrous wife was stronger than his desire to please God. Judgment must come. At the end of Revelation, all of the wicked will be cut off by King Jesus. God's judgment against the wicked will be complete. Judgment is the last thing God wants to pass out. As a matter of fact, it will be the last thing God passes out! God is long-suffering, patient, gentle, slow to anger, full of mercy and gracious. He has given humanity over 2,000 years to come to His gift of salvation through His Son. The day will come when He will know that all who will come to His Son have come. Right to the end, God is calling people to "come." Revelation 22:17: The Spirit and the bride say "Come!" And let him who hears say, "Come!" Whoever is thirsty, let him come; and whoever wishes, let him take the free gift of the water of life." Those who are saved by the blood of Jesus and sealed by the Holy Spirit will be safe and will live with the Lord eternally. God is still saying "Come!"